This book illuminates various aspects of a central but unexplored area of American history: the midcentury Japanese American experience. A vast and ever-growing literature exists, first on the entry and settlement of Japanese immigrants in the United States at the turn of the 20th century, then on the experience of the immigrants and their American-born children during World War II. Yet the essential question, “What happened afterwards?” remains all but unanswered in historical literature. Excluded from the wartime economic boom and scarred psychologically by their wartime ordeal, the former camp inmates struggled to remake their lives in the years that followed. This volume consists of a series of case studies that shed light on various developments relating to Japanese Americans in the aftermath of their wartime confinement, including resettlement nationwide, the mental and physical readjustment of the former inmates, and their political engagement, most notably in concert with other racialized and ethnic minority groups. Greg Robinson is Associate Professor of History at l'Universite du Quebec A Montreal and the author of A Tragedy of Democracy: Japanese Confinement in North America (Columbia). "The tragedy of incarceration has dominated historical studies of Japanese Americans,and few have explored what happened in the years that followed. A welcome addition to the literature, Greg Robinson's insightful study, After Camp, will appeal to historians of immigration, the Asian American experience, comparative race relations, and the twentieth-century United States more broadly." "Greg Robinson has boldly and rightfully identified historians’ neglect of Japanese American experiences after World War II. 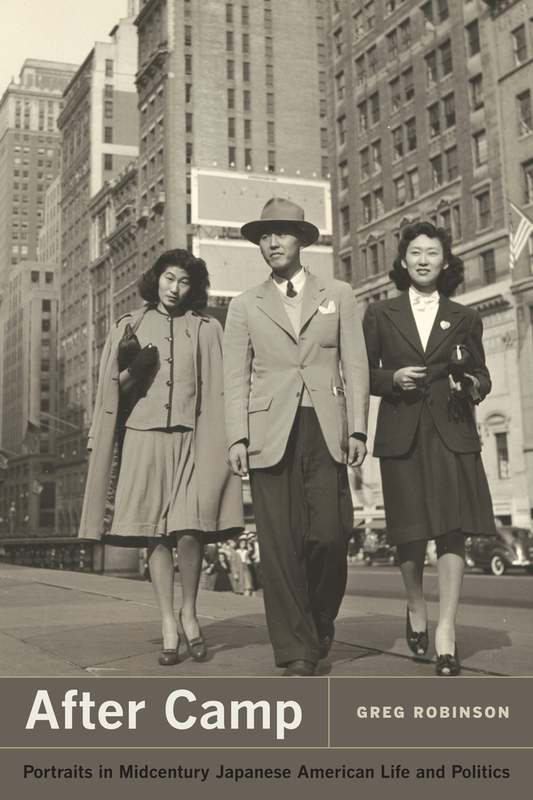 Rather than focusing exclusively on the Pacific Coast, After Camp offers a nuanced exploration of the competing strategies and ideas about postwar assimilation among ethnic Japanese on a truly national scale. The depth and range of Robinson's research is impressive, and After Camp convincingly moves beyond the tragedy of internment to explain how the drama of resettlement was equally if not more important in shaping the lives of contemporary Japanese Americans. "—Allison Varzally, author of Making a Non-White America.